As the EPA established new rules on wood and pellet stoves and boilers, there have been many claims, counter-claims, predictions and fears. Here is a summary of the key points in the rule that will impact you, the consumer. The rule became law on Friday, May 15, 2015 and various provisions went into effect on Jan. 1, 2016, May 15, 2016 and May 15, 2020. Scroll to the bottom to see a timeline of implementation. This rule is an NSPS - a New Source Performance Standard - established by the EPA with input from industry, states and other stakeholders. Wood stoves: Most stove consumers will not notice many, if any, changes until closer to 2020. As of 2016, stoves must not emit more than 4.5 grams an hour of particulates and after May 15, 2020, 2 or 2.5 grams an hour. One of the biggest changes is that some of the really cheap, uncertified wood stoves went off the market after Jan. 1, 2016. Similar, certified stoves that are EPA certified and put out less smoke are still available for $300 - $600. 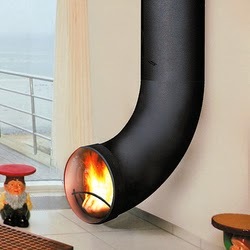 Pellet stoves: Consumers will not notice much change here either. As of Jan. 1, 2016 all pellet stoves will have to be certified by the EPA. Some models are also getting more efficient. In 2020, pellet stoves also have to emit no more than 2 grams an hour. 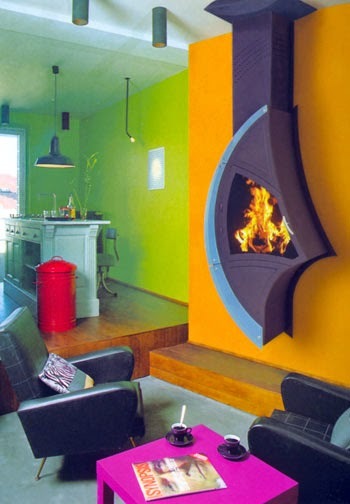 Two- thirds of pellet stove models already meet the 2020 standard. Prices: There should be not be any significant short term price rises. We analyzed 77 popular models and found a 3-4% price rise since May 2015, but that may be due to a host of factors, and not necessarily impact of regulations. In the longer term some manufacturers say their stove prices may go up $300 - $400 around 2020. Others say their prices won’t rise at all. Retail “sell-through” period: Retailers had until Dec. 31, 2015 to sell existing stock, after the law went into effect on May 15, 2015. There is not a similar sell-through provision in 2020 from May 15, 2020 to Dec. 31, 2020. Misleading advertising: Most manufacturers post unverified and exaggerated efficiency claims on their brochures and websites. 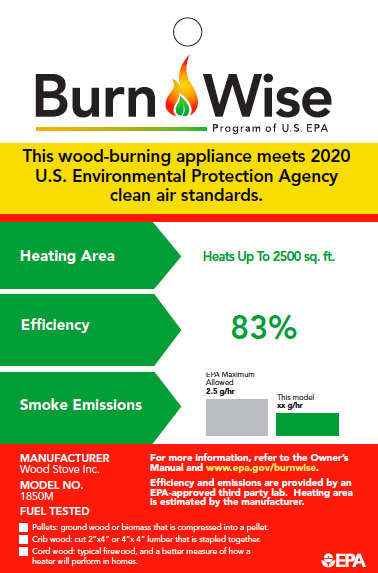 The new rules specify how stove efficiency is to be tested and reported to the EPA, and some companies are posting verified efficiencies on the list of EPA certified stoves. To date, neither the EPA nor state agencies have cracked down on exaggerated and misleading efficiency claims. Efficiency: There is no minimum efficiency standard, but the new rule requires efficiency testing and reporting. As of December 2016, 127 models, or about 25% of stoves have verified efficiencies. Many companies still keep their efficiency data confidential from consumers. The average wood and pellet stove is about 70% efficient. Carbon monoxide (CO): The new rules do not limit the amount of CO that can be emitted but require that it be tested and reported. As of December 2016, eight stoves list the amount of CO they emit (from 7 - 180 grams/hr), showing that pellet stoves emit far less than wood stoves. 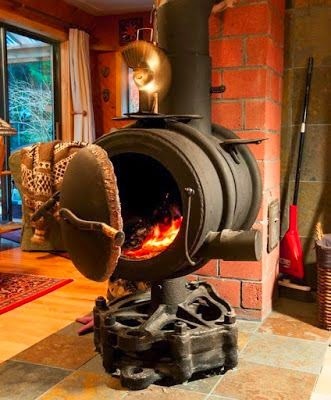 Stoves tested with cordwood: The rules set up an alternative, voluntary compliance option for Step 2 emission levels as of 2020 of 2.5 grams an hour for stoves tested with cord wood. Cord wood test methods are still being finalized but at several stoves already used a cord wood method approved by the EPA for its certification test. Pellet fuel: All new pellet stoves must be tested and warrantied to use with pellets that are certified by a third party entity - either the Pellet Fuels Institute (PFI), ENplus or CANplus. Consumers will see more and more pellets certified by one of those entities, which means they meet certain quality and consistency standards. To date, more than 30 pellet plants make PFI certified pellets. Owners manuals: All owners manuals should be updated as of May 15, 2015 but there is confusion around this and many manuals appear to not be updated as of mid 2016. Updated manuals will have more detail and must instruct operators how to get optimal performance from the stove or boiler. Litigation: The main stove and boiler industry association, the HPBA filed suit over the 2020 emission standards for boilers and the case will be litigated in 2017/18. Air quality groups are joining that suit to defend it from being weakened or delayed. PFI is suing over the authority of the EPA to regulate pellet fuel. Tulikivi was suing because they want masonry heaters to be a regulated technology, but has now reached an agreement with EPA. Role of states: Several states have passed resolutions barring state agencies from enforcing this NSPS but the rule clearly states that it does “not impose any requirements on state and local governments.” To date, Missouri, Michigan and Virginia have passed laws barring state enforcement, largely a symbolic gesture. A number of other states, including New Hamphsire and Vermont have formally taken delegation of NSPS provisions to achieve cleaner air in their states and protect consumers. 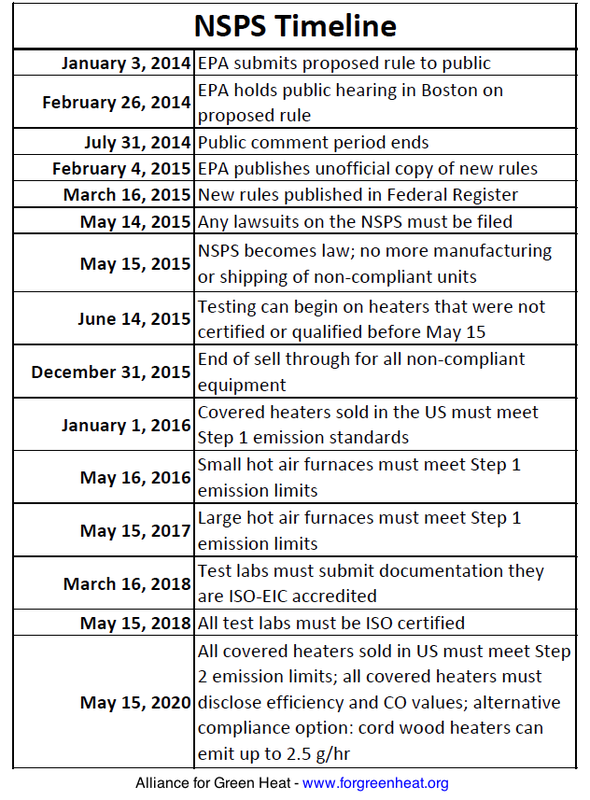 Boilers: Like stoves, boilers must meet Step 1 emission limits by May 15. Retailers could still sell older, uncertified and unqualified boilers through Dec. 31, 2015. In 2020, they must meet stricter emission limits. Due to a schism between domestic boiler manufacturers and those importing more advanced European technology, most test labs were not willing to test use one of EPA approved boiler test methods. There in still uncertainty about how one boiler test method, EN3030-5, is treated under the new rule. EPA regulations have led to far more efficient boilers, with many now topping 80%. Loophole for unregulated outdoor boilers: Manufacturers of unregulated outdoor wood boilers can continue to make and sell these units for "commercial" applications. 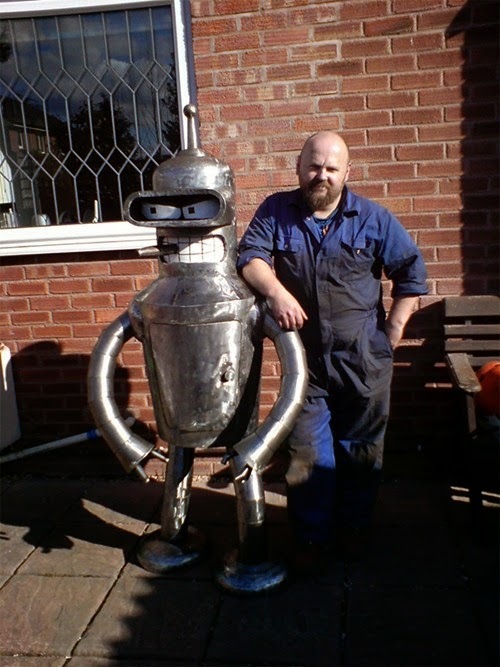 However, one outdoor boiler company has already indicated that as long as the customer assures the dealer that the unit will be used for commercial purposes, its up to the consumer to use it as they please. Boiler and furnace prices: Unlike stoves, options for consumers will change more, since the boiler furnace industry had not been regulated and many low-cost, low-efficiency units were on the market. Prices - and efficiencies- are likely to rise significantly but operating costs will be significantly lower. 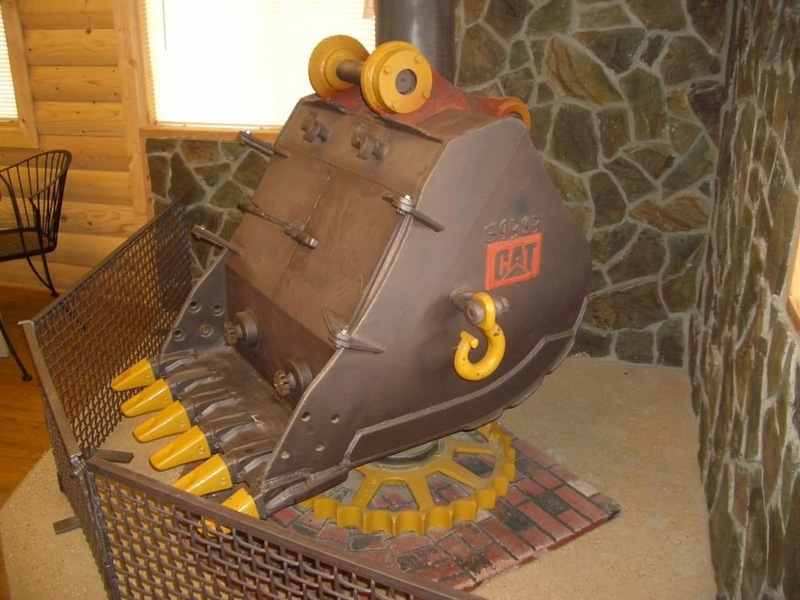 Over the centuries, wood stove makers have tried all sorts of designs to transfer heat to a room and to capture the imagination of consumers - or just their own imagination. Some emphasize design and beauty over function and efficiency. Others are both practical, efficient and the result of centuries of experimentation. And some are destined for the dustbins of the history of heat. 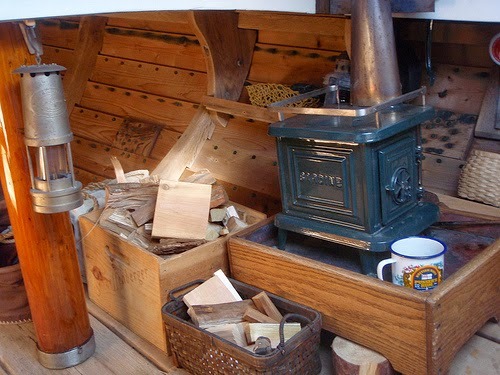 For a detailed chronology of wood heating, click here. We hope you enjoy them as much as we did, and encourage you to send ones that you think should be included. Ancient Greek clay anthrakia. 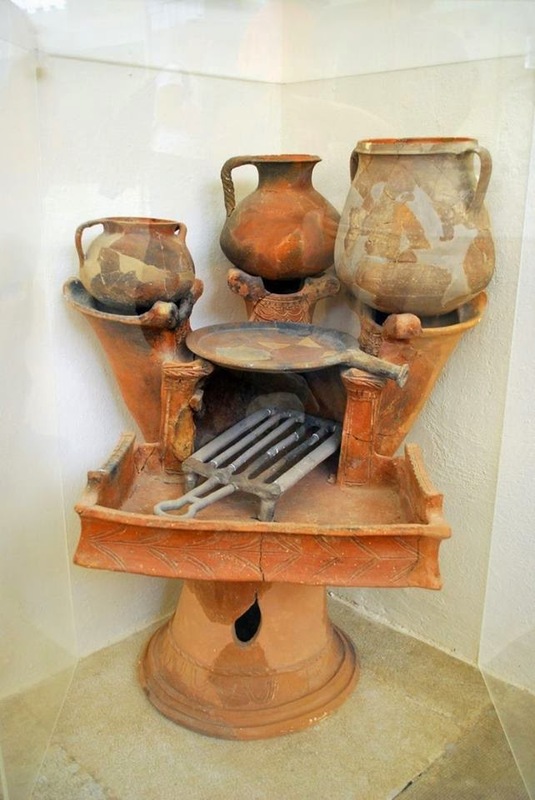 Greeks experimented with designs to heat, cook - and to BBQ. 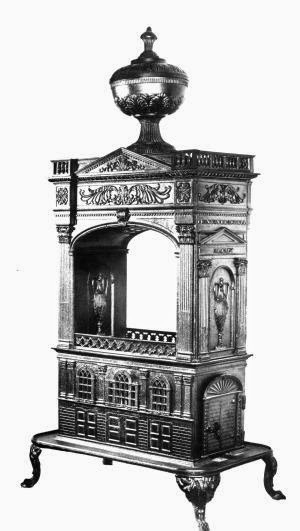 Troy New York, near Albany, was the stove building capital of the world in the late 1800s, when ornate stoves like this were popular. 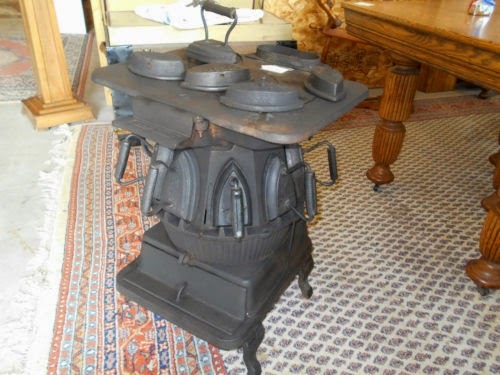 An old cast iron stove that is still in use in Vermont. Amen to that. 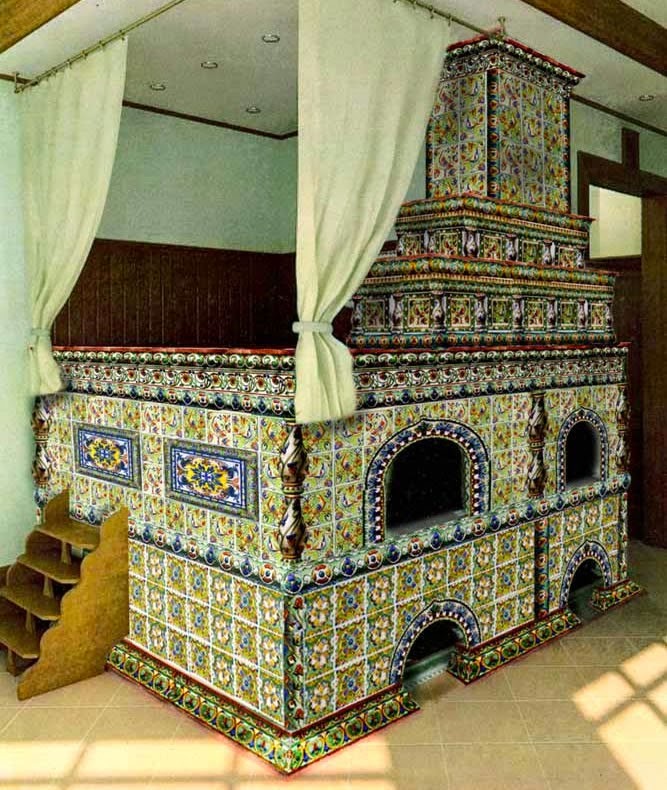 This Russian masonry heater/bed will keep you warm on the coldest Siberian night. 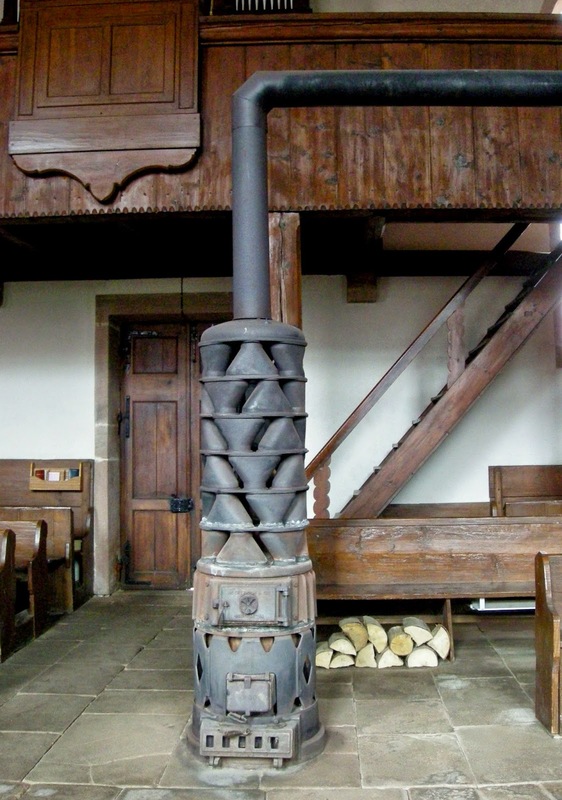 Alsatian (French) stove with large exhaust gas heat exchanger. Stove makers have long experimented with expanding heat transfer surfaces. The power go out and you have lots of ironing? 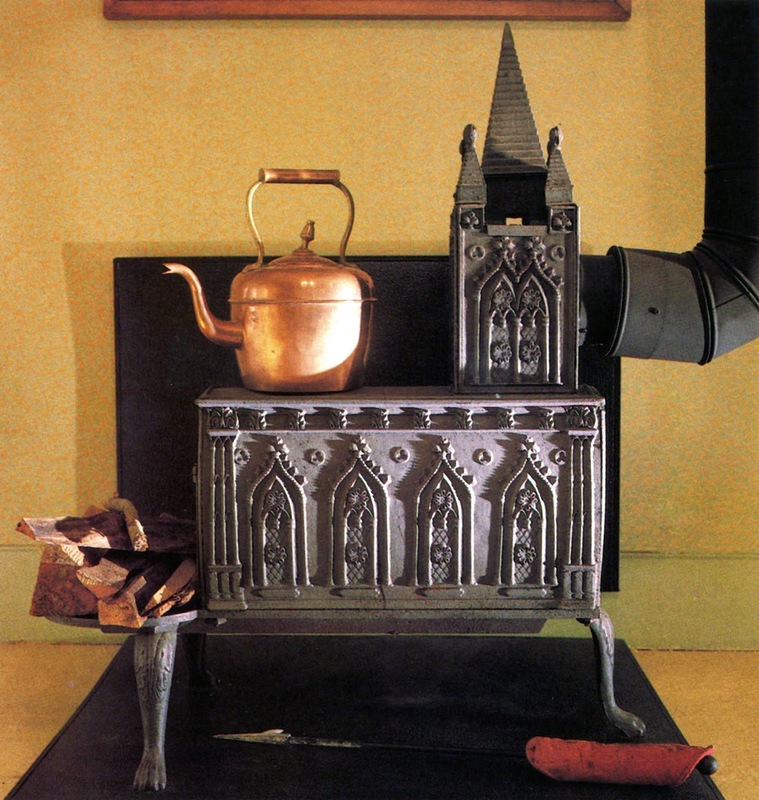 A German masonry stove, designed to burn a load of wood quickly and then slowly release the heat from the masonry mass. 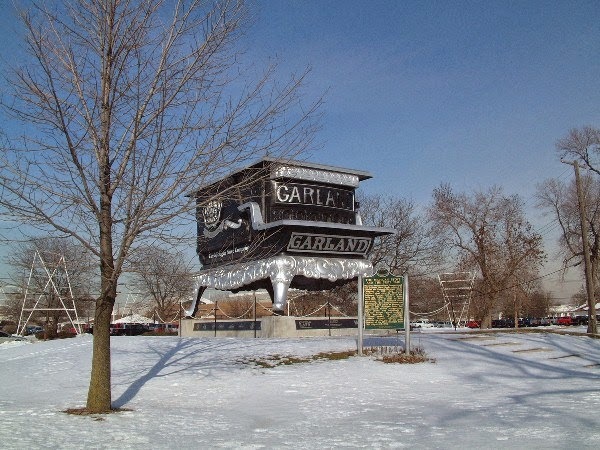 The world's largest wood stove built in 1893 to commemorate the famous Michigan's stove company, Garland. It was built of wood and burned to the ground in 1991 during a lightening storm. 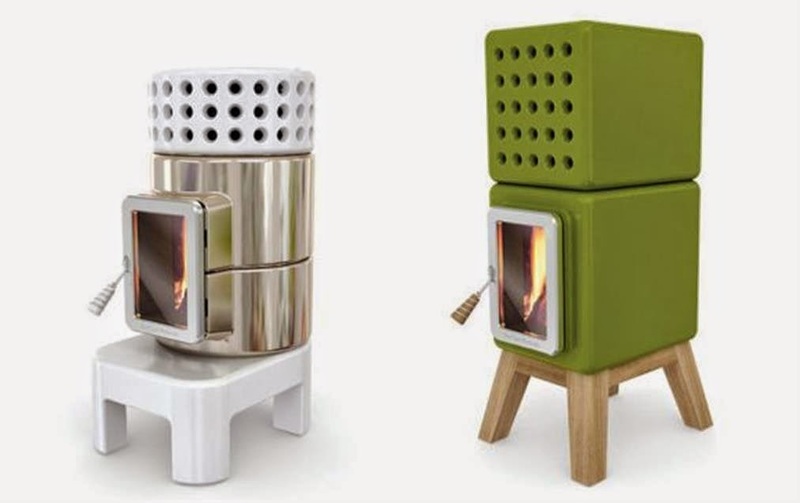 The world's smallest commercially available wood stove? Aptly named the Sardine, its made in Washington state for boats used during the winter. 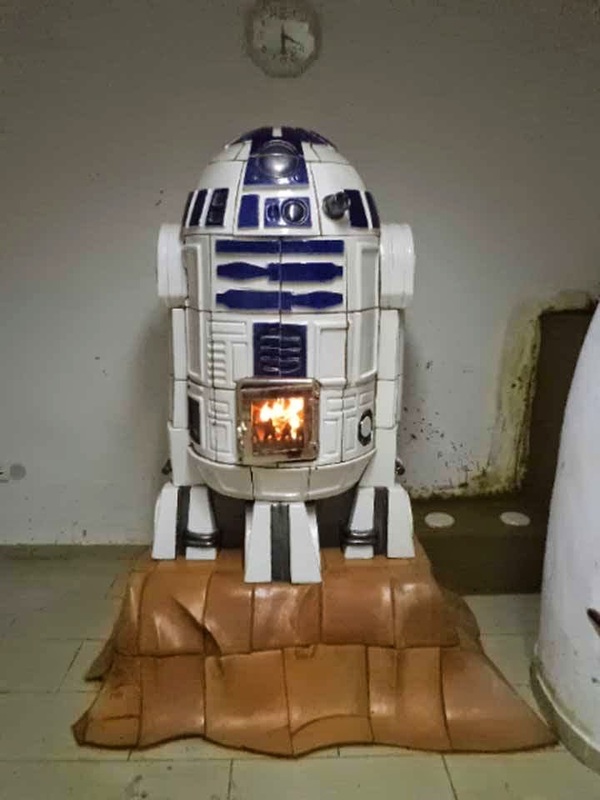 The resourceful and spunky R2D2, faithfully serving a master in somewhere in Eastern Europe. 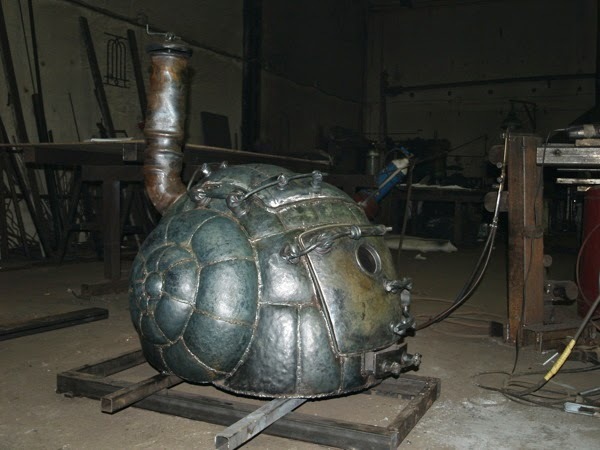 An Estonian sculptor repurposed old Russian mine shells for something more useful. The Italian stove maker Castlemonte's new stackable stoves. Can the design get any simpler? 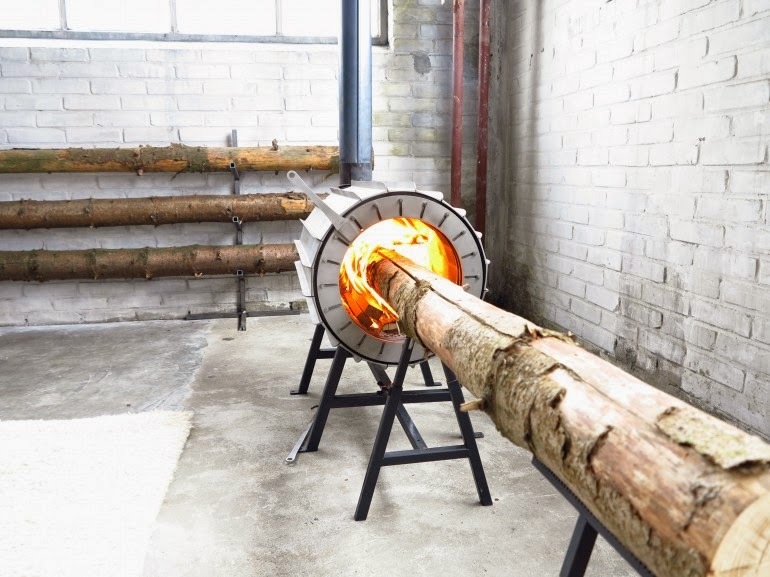 Dutch designers eliminated the need to cut your wood with this stove. 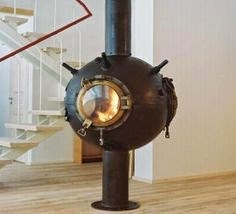 A Swiss made "rocket" stove. The key to reducing wood smoke in Utah's populated and often polluted valley surrounding Salt Lake City is a genuine partnership between the states air quality division, industry and other non-profits and stakeholders. Ultimately, solutions are going to require funding, especially if a change out program is involved, which can be expensive. For any significant amount of money to be used for change outs, the Utah governor and air quality division should support the change out, not have HB 396 thrust upon them, which will tie their hands. 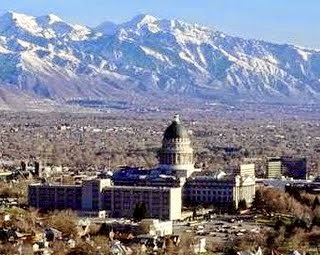 Utah Governor Herbert's proposed seasonal ban was ill conceived and drawn up without sufficient consultation. HB 396 was similarly drawn up without sufficient consultation and will not lead to genuine solutions that can get solid funding.